No homeowner wants to see a foreclosure completed. Receiving your foreclosure notice may feel like the end of the world, but it doesn’t have to be. You have access to rights and strategies as a homeowner that can help you avoid the completion of a foreclosure. Not every exit strategy is right for every circumstance. A thorough understanding of what lead to your foreclosure, your current financial situation, and your rights as a homeowner can help you determine which exit strategy will work best for you. This won’t apply to the vast majority of homeowners, but for the ones who feel as though their foreclosure may be illegal, this is the best course of action. 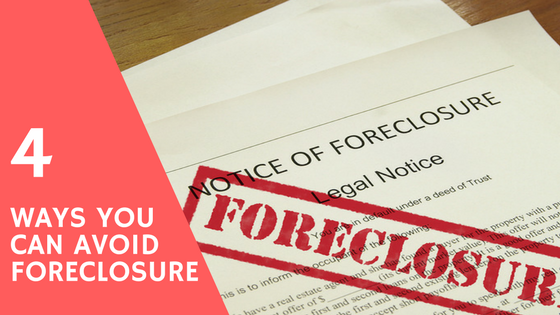 If your lender is attempting a nonjudicial foreclosure of your home and the paperwork you have in your records doesn’t state that they have the right to do that, you can sue your lender. This is also the right strategy for homeowners whose mortgage may have been lost in transition between the ownership of lenders, where the current lender may not actually own the promissory note or have factual information about the state of your loan. The same goes for homeowners who feel their rights have been violated by a lender, or that the lender did not follow the state’s foreclosure laws. If you sue and lose, the foreclosure will still continue. You may also be liable for your lender’s court expenses. It’s best not to sue unless you’re sure that your lender is acting illegally or violating your rights. Speak with an attorney if you have any concerns. It’s exceedingly rare that these suits will hold merit, so don’t assume you fall into this category unless a lawyer has advised you that you’ve been wronged. Despite what some homeowners believe, bankruptcy may not eliminate your financial responsibility to your lender or protect a credit score. It can put a halt to the foreclosure process until the court reaches a decision regarding the validity of your bankruptcy, but it’s only temporary. There are two common types of bankruptcy, and each has distinct advantages and disadvantages when it comes to working through a foreclosure. May allow you to keep your home. It won’t alleviate your debts – it will create a plan that restructures your debts in a way that may be more manageable. This kind of bankruptcy comes with a detailed payment plan that will span over several years. Unsecured loans will be stricken from the record (which is good news if you’re juggling upside down second mortgages), but the initial debt to your lender will remain. This is the best strategy for people whose hardships are only temporary. Cannot and will not save your home. You’ll still go through a foreclosure with chapter 7. The only difference is that your lender won’t be able to pursue you for a deficiency judgement if this kind of bankruptcy is granted. If your goal is to save your home, only chapter 13 will provide you with the tools that you need. In many states, lenders aren’t allowed to employ two foreclosure strategies at once. This is called dual tracking, and most homeowners are protected from this type of action. Requesting a loan modification can temporarily halt a foreclosure, and being granted one can stop the foreclosure altogether as long as you’re willing to comply. 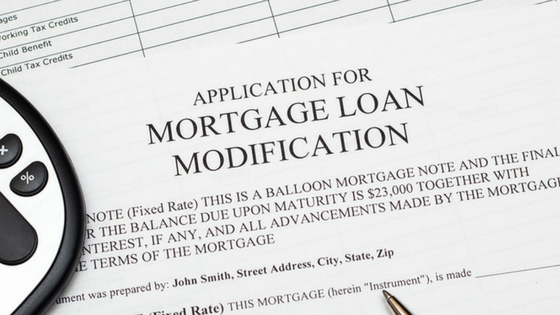 If you don’t wait too long to request a loan modification program, you may be able to get it. You’ll need to continue to make payments on your home, but they’ll be structured differently. You need to have your first payment ready when your loan modification plan takes effect. If you continue to pay on time, you won’t face foreclosure again. If you know that you can’t make payments, it’s not worth wasting valuable time pursuing a loan modification. You’ll only be stalling the inevitable, and that time would have been better used attempting a different strategy. You don’t have a moment to waste. Acting will always be better than trying to squeeze out a few more weeks. Technically, you still own your home until the moment the lender auctions it off. You don’t want to wait that long to make your move. The second you know you don’t have the funds available to bail yourself out and you’re sure your foreclosure is perfectly legal, it’s worth attempting to find the right buyer for your property. However, now may not be the right time to contend with a real estate agent. A lot of formality goes into selling your home on the traditional market. Even if you find a real estate agent who is willing to help you move quickly to avoid foreclosure, they’re unable to guarantee that they can find you a buyer within the timeline. If they do find a buyer and the buyer can’t secure a home loan, you’ve effectively wasted all of the time you’ve spent setting up that deal. You need someone who can pay cash, and can purchase your home immediately. Many homeowners trying to beat the clock on their foreclosure opt to work with a home investor. These investors are private buyers who already have available funds, which drastically simplifies the selling process. Since there are no agents to satisfy, these kinds of buyers can close in a week or two. They may even be able to help you communicate with your lender to push the deal through before the process moves along any further. Who Can Help Me Stop Foreclosure? SoCal Home Buyers is eager to help you stop your foreclosure. We’ve been helping homeowners in your situation for years, and we know exactly how to work with your lender to put an end to the foreclosure process. We can draw you up a quick cash offer right away – all we need are the details about your property. You don’t have time to waste. We’re on your side, and we’d love to buy your foreclosure home. « Previous Post Why You Should Prep Your Home Years Prior to Selling it Next Post » How Much Should a Seller Ask for their Home?